In view of the unwavering smog in Delhi-NCR, the National Green Tribunal (NGT) on Tuesday issued definitive directions to the authorities and listed the matter for hearing. Along with other measures, the tribunal has called a ban on construction and related activities in the region for next one week. The tribunal pulled up Delhi Government and neighbouring states for not taking timely and substantial measures and directed them to put forth complete plan of action on implementation of its directions by tomorrow to curb air pollution. A bench headed by Chairman Justice Swatanter Kumar rapped the secretaries of Delhi, Haryana, Rajasthan, Punjab and Uttar Pradesh for not implementing its orders on crop burning and containing air pollution. 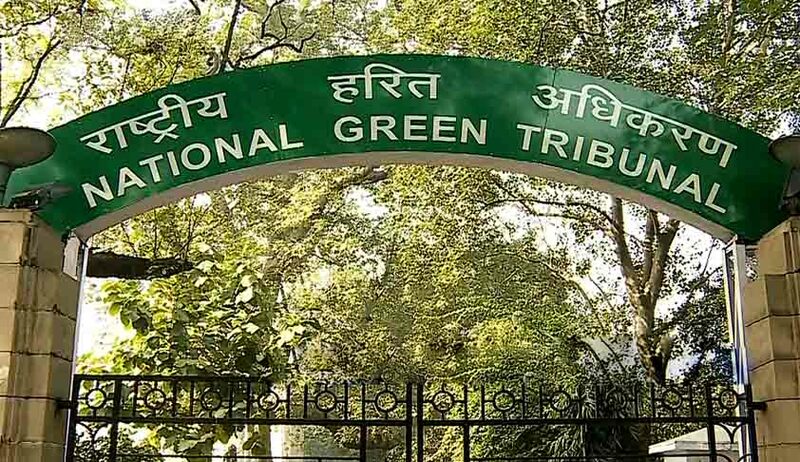 "What preventive, precautionary and curative measure you are taking, tell us in tomorrow’s hearing," NGT told all the states. The bench also questioned the relevance of Delhi Government’s order of shutting schools without any sound scientific reasoning. The state was questionED as to how it decided whether pollution indoor was better than outdoor for children. The AAP government was also slammed for sprinkling water through cranes instead of choppers to control dust pollution. No stone crusher would operate in NCR, Delhi and the aforesaid states concerned for a period of one week from today. There shall not be transportation whatsoever of any construction material. All the officers of the respective Corporations, DDA, Municipal Corporation Committee and Corporations in the respective district of NCR, Delhi, shall ensure that half of their staff is sent to field duty for inspection and ensure that there is no burning of municipal solid waste or any other waste. The field duty staff should also ensure that no pollution is generated by the construction activity and all the protection/measures are taken as directed in the earlier judgments of the Tribunal in relation to control of air pollution by construction activity and the concerned department staff shall also see there is not crop residue burning anywhere in these five states. The staff must make sure that the judgment of the tribunal in regard to the punitive directions, incentives, collection and utilisation of agricultural residue are to be implemented without default. Such staff of the Corporations will report back to their senior officer and submit report in regard to compliance and defaulters as afore-indicated. All brick kiln operating in NCR, Delhi has been prohibited for a period of one week from today. There shall not be any construction activity for a period of one week from today. The tribunal has directed the Central Pollution Control Board and the Pollution Control Board of the respective states to jointly prepare Ambient Air Quality Data currently; last one week and in future as well and submit the report to the Tribunal. This data would not only give an Ambient Air Quality Standard but would also give apparent causes of pollution.